Mannich Bases which are also known as beta-amino ketone carrying compounds, are the end products of Mannich Reaction.The Mannich reaction is an organic reaction which consists of an amino alkylation of an acidic proton placed next to a carbonyl functional group by formaldehyde and a primary or secondary amine or ammonia. The final product is a β-amino-carbonyl compound also known as a Mannich base. It also act as important pharmacophores or bioactive leads. Which are used for synthesis of various potential agents of high medicinal value that possess aminoalkyl chain. Some clinically useful Mannich bases are cocaine, fluoxetine, atropine, ethacrynic acid, trihexyphenidyl, procyclidine, ranitidine, biperiden, etc. 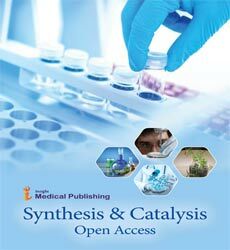 Vitamins & Minerals, Structural Chemistry & Crystallography Communication, Immunochemistry & Immunopathology, Amine Exchange Reactions of Mannich Bases, Mannich Bases from Kojic Acid and Aryl Amines.